Here’s the third and last instalment about our hiking adventure along the GR1 in the Girona province! 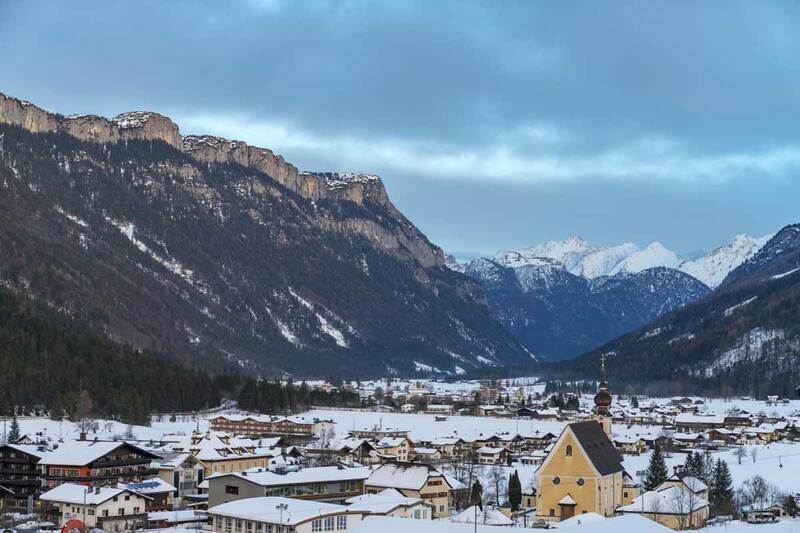 The beauty of this long-distance hike is not in the landscape and ecosystems it crosses, but also in the beautiful towns and villages where you’ll have the chance to recover at the end of the day! What do you look for in a long-distance hike? Are you looking to escape all human contact, getting lost in the wilderness for months on end, camping and carrying all your food and cooking equipment? 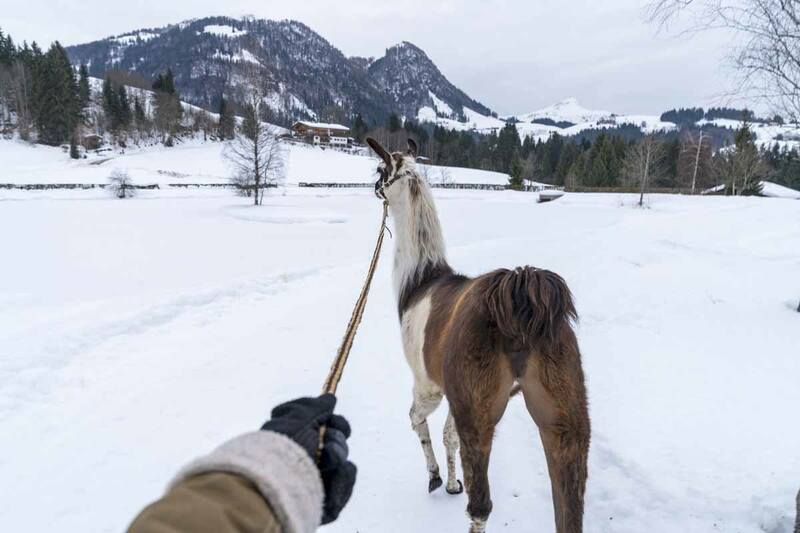 Or do you prefer something a little ‘softer’, a hike allowing you to get to a comfy bed and a hot dinner at the end of the day, spending your days in the wild but reaching a town, village or even a mountain hut by sundown? If this is the case, Europe has plenty of choices. 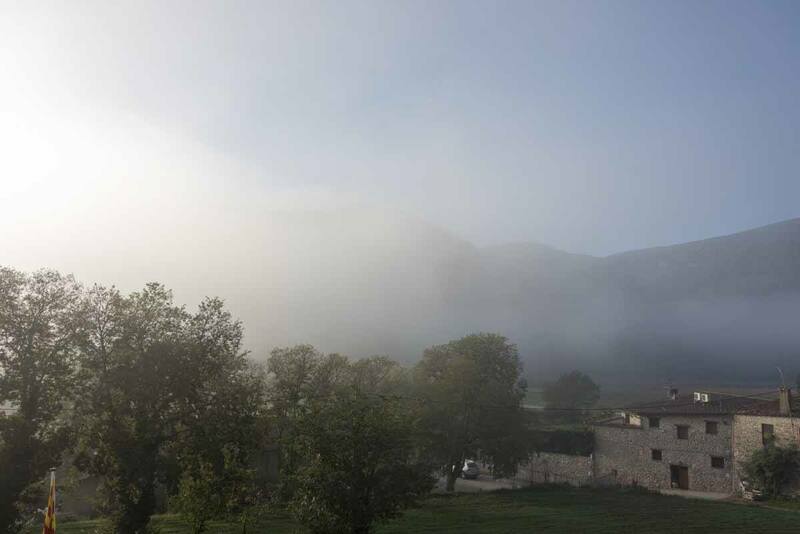 We hiked the Camino de Santiago across northern Spain 5 years back and we did love it, but it was very busy in the middle of summer, and this took some of the magic away. Three years ago, we trail blazed across Southern Finland, 400 km in about 6 weeks. It was a wonderful adventure, but the chilly (sometimes even freezing) and the abundance of road walking made the trip rather hard. We also hiked all over Lake Garda, and in many other places. 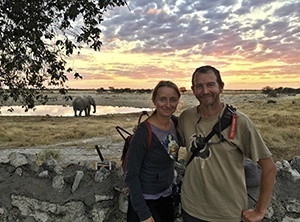 Hiking is truly one of our passions, and we vowed to do at least one long-distance hike a year. In 2017, we opted for the GR1, also known as Sendero Historico, a 1200 km trail starting on the Mediterranean Coast and winding its way over the Pyrenees to Northern Spain. 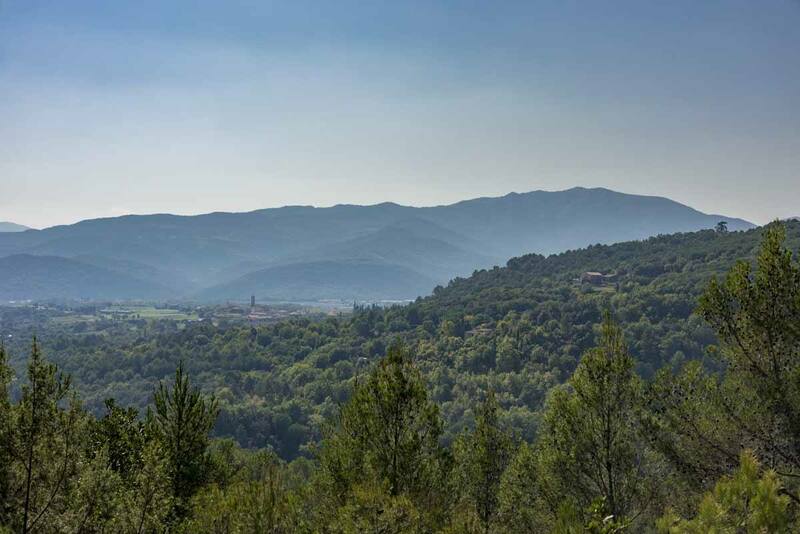 We couldn’t hike the whole thing, so we focused on the section crossing the Girona province – from Empuries on the Mediterranean Coast to Ripoll, deep into the heart of the Pyrenees. We hiked 150 km in 10 stages, always ending in a town, village or refugio, so we didn’t need to carry any camping or cooking equipment with us. All these towns and villages are also accessible from Girona, a town that is fast becoming the gastronomical capital of Spain – one of its most famous restaurants is El Celler de Can Roca in Girona, winner of the World’d 50 Best Restaurants award for two years. This post focuses on what to see along the GR1 – if you want to know more, make sure to read our guide to planning a Pyrenees hike, our long-distance hike packing list, and naturally our day-by-day trail guide to hiking the GR1! 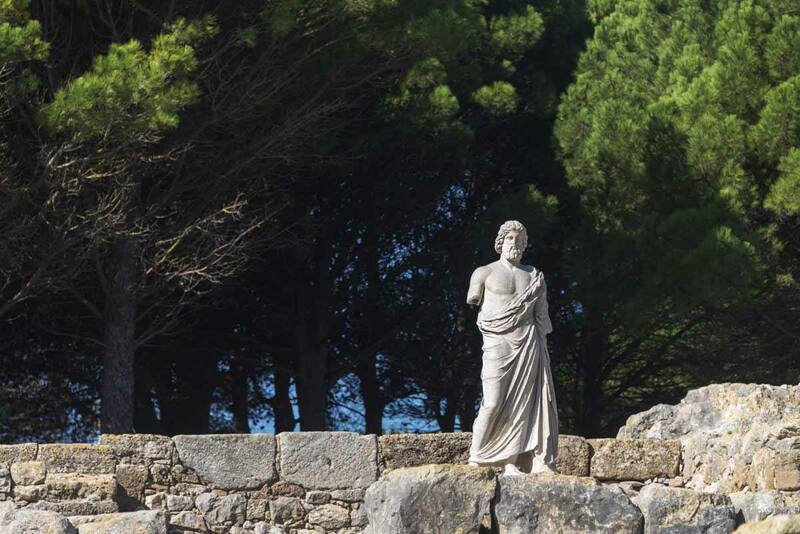 Don’t miss visiting the Empuries ruins before starting the GR1! 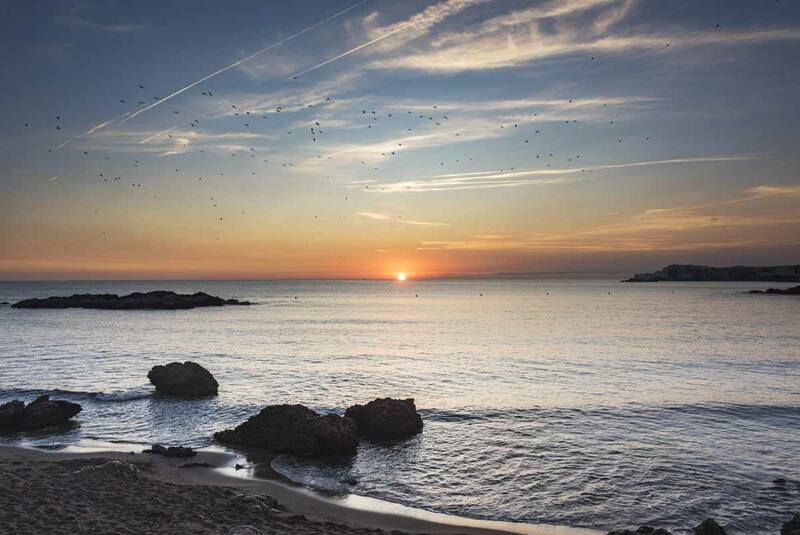 The GR1 starts not far from the ruins of Empúries, a Greco-Roman archeological site located just in front of the Mediterranean sea, about halfway through from the coastal village of L’Escala and San Martí, a tiny village where the trail turns inland. We warmly recommend visiting the ruins before embarking on your hike. The beautiful seaside location is part of their charm – the deep blue water and umbrella-shaped pines frame smooth white columns and stones weathered by time. As late afternoon approaches, the sunset light makes the ancient ruins appear golden, and if you are lucky enough to visit when no one else is about, it’s the perfect time to sit and contemplate, imagining the time when this was a bustling Mediterranean port, first Greek then Roman, before it was abandoned in the High Middle Ages after being raided by marauders. The Greek section of Empúries is located right by the coast – there is an audioguide taking you through the most important sites, like the Asclepion (healing temple) and temple of Zeus-Serapis, a syncretic Greco-Egyptian god – and testimony that once upon a time, religions had the power to unite people. The Roman ruins are just a little inland – only part of it has been excavated, and you can see temples, villas with spectacular mosaics, an amphitheatre and a basilica. San Martí d’Empúries literally has about three streets, a handful of restaurants and a beautiful Romanesque church, that was sadly closed when we visited. Just take a minute to say goodbye to the Mediterranean before turning inland – from now on, you’ll be making for the mountains. 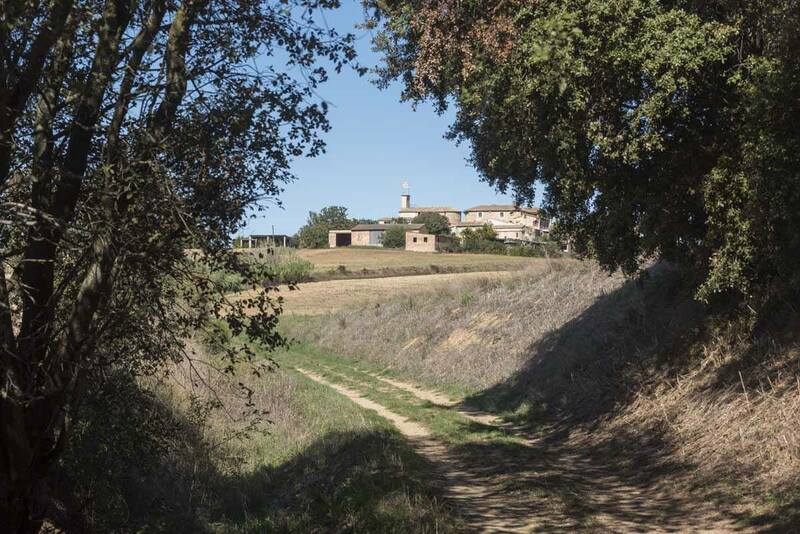 After leaving Empúries, you need to hike about 27 km before reaching Orriols, the next village offering accommodation – there are a few casa rural and places renting rooms. If 27 km in a day are too many, you can do as we did and stop at Can Muni, a farmhouse offering accommodation and horse trails about halfway between the start of the trail and Orriols. Orriols is a tiny village of 160 souls, but it has two points of interest – the Romanesque church of Sant Genes, and the Castell d’Orriols, first constructed around the year 1000 but remodelled and re-fortified several times, with the current look dating back to the 16th century. Sadly, it is not open to the public, but you can see from the outside and try and spot the gargoyles hiding on the façade. Ah, Banyoles! It was by far our favourite place to see along the GR1, and a place we recommend everyone to visit if you find yourself in the Costa Brava-Pyrenees region. The main thing to see in Banyoles is the Estany, a natural lake with pristine turquoise waters located right into the centre of the town. Any time of day, the Estany is always beautiful. In the morning, the sun sparkles on the water, fairy dust ruffled by the wind blowing through the branches of the trees surrounding the shore. In the midday heat, everything is still and silent, and at sunset, when the sky slowly turns pink, the water of the Estany looks even more clean and pristine, and golden light shines on the extravagant fishing huts all along the lake. 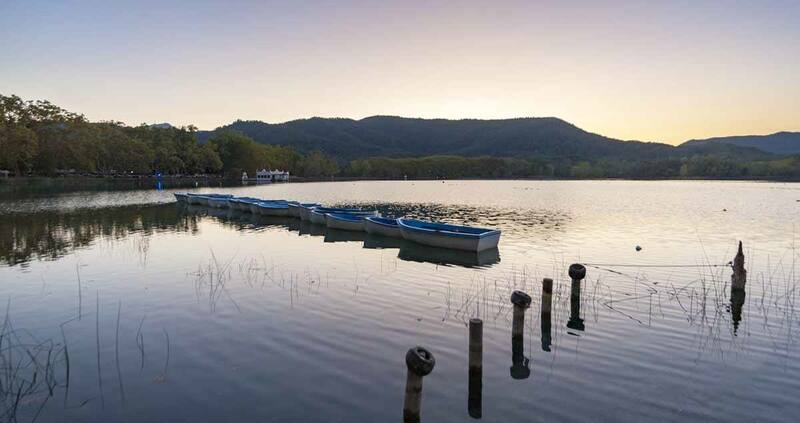 There’s an 8 km path circling the shore of the Estany, also passing some of Banyoles’s points of interest like La Draga Neolithic Village, the only lakeside prehistoric site in all of the Iberian Peninsula. Banyoles is very much a sport-focused city – swimming, rowing and kayaking around the Estany is allowed, and many rowing or kayaking teams choose Banyoles as their training grounds. How can we blame them? The historic centre of Banyoles is also worth a visit – the area surrounding Plaza Mayor is full of excellent restaurants like Al Born, offering a great lunch menu, and not far from there you’ll find the Murallas, the remains of the medieval town walls. After spectacular Banyoles, Besalú is another wonderful gem, a medieval town so pretty it looks out of a fairytale, as if you walked through some time warp and emerged back into a Game of Thrones-like world, with knights and jesters and fair maidens in castles. This town is a true photographer dream – especially in October when it wasn’t overrun by tourists. Take your time and wander between cobbled arched backstreets, ivy-covered staircases and passageways, before making your way to stop in one of Besalú’s plazas for lunch – we loved our meal at La Curia Reial, including specialties from the nearby volcanic region. If you can, don’t miss the walking tour led by the tourism office, including a visit to the Jewish quarter and the mikveh, the ritual Jewish bath. 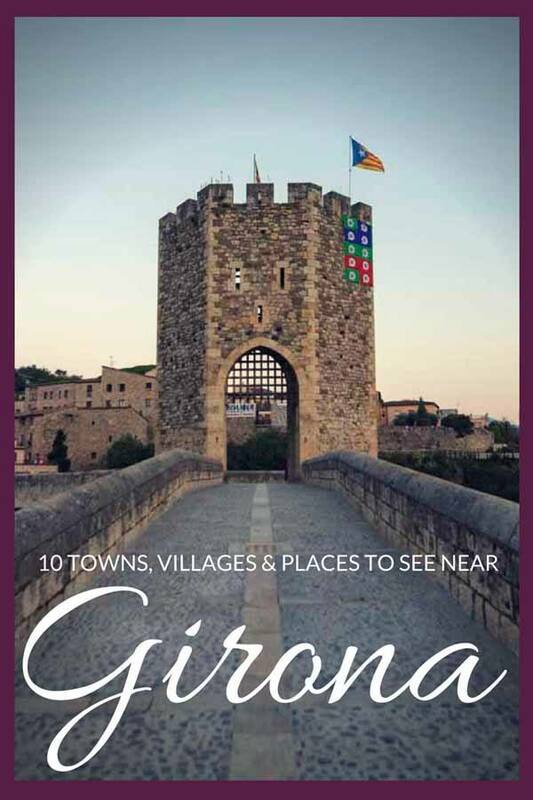 If you prefer creating your own tour, check out this photographic guide to Besalú, free to download on the Tourism Costa Brava page. The best time to photograph Besalú’s medieval bridge is either early morning, when the whole town is bathed in peach-coloured light, or night time, when no one is around, and you can feel like a Middle Ages wayfarer entering the city, hoping to be let through the great iron portcullis. 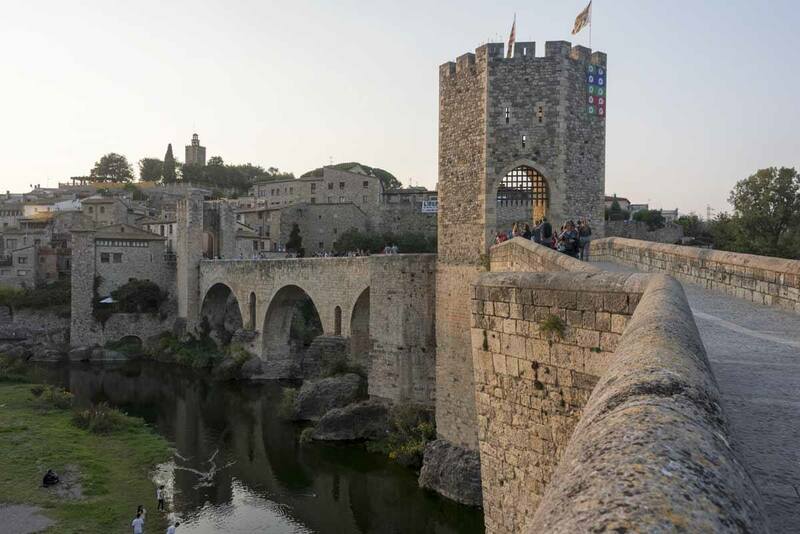 Besalú is a place for dreamers – a town so steeped in history, that we can all use it as a setting to imagine our own stories. Banyoles and Besalú will wow you with their jaw-dropping beauty, while Tortellà is more of a ‘locals’ village, a place with not as many sights, but plenty of character – just head to the town’s only bar, looking out of a 1960s sitcom, to see what I mean! Tortellà also has a nice church and great lunch at Hostal L’Alta Garrotxa, but the real marvel lays just 3 km outside of town – the Romanesque Puente de Llierca, dating back to the Middle Ages. 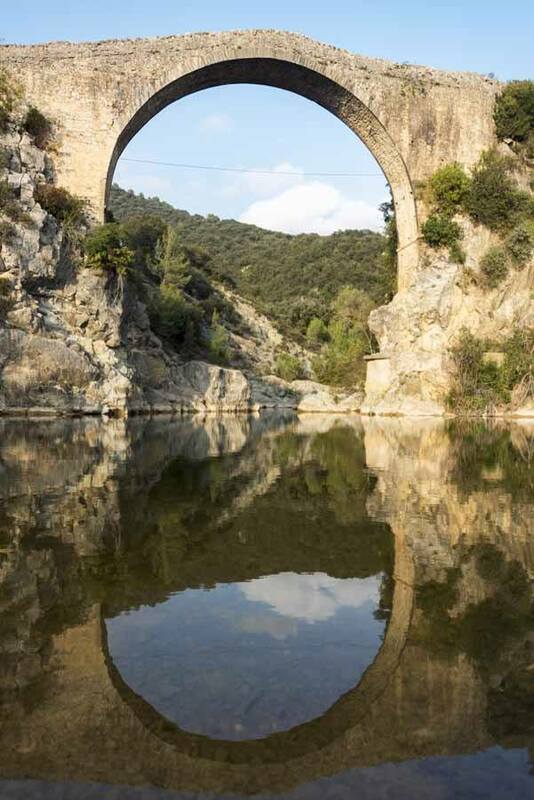 With its one slender 28 meter-high arch, the Puente de Llierca is definitely a sight, especially if you take the time to walk down to the river’s edge, to see the bridge reflected into the water. The path leading down to the river is very steep, so please pay attention! If you’re staying in Tortellà, walking to the Puente and back will take a couple of hours, making for a great afternoon out. If you’re hiking, don’t worry – the GR1 passes right over the bridge! From a small village to an even smaller one – Oix is literally a blink-and-you’ll-miss-it sort of place, a few dozen houses surrounded by the leafy Pyrenees. Things to see include the Romanesque Church of Sant Llorenç, which was sadly closed when we visited, and the remains of an old castle. There’s also a hidden medieval bridge that deserves a visit. 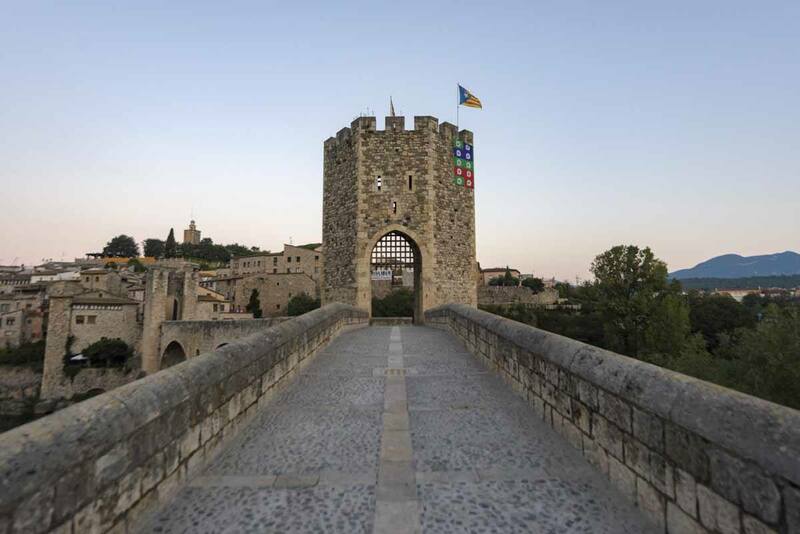 At the entrance of town you’ll see a sign saying ‘Puente Medieval’ – follow it through a thicket and you’ll reach a bridge similar in style to the Puente de Llierca, but not as high and completely surrounded by trees and shrubs. It wasn’t as well preserved, but the forest all around gave it a kind of magic feel – we half expected a fairy to zip past us. 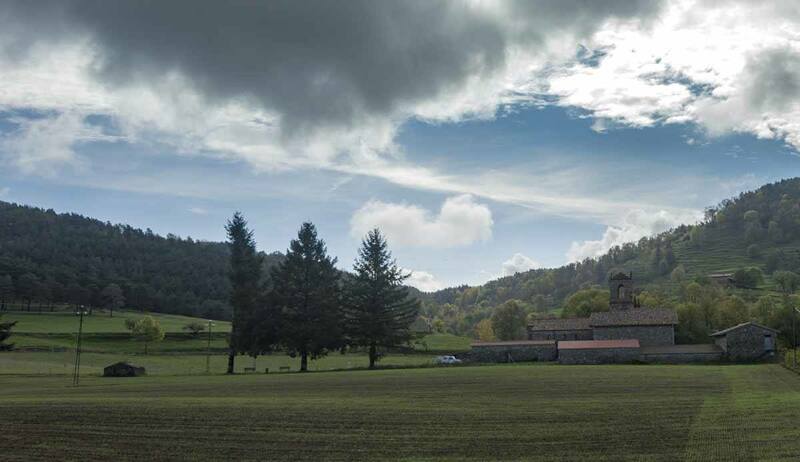 This isn’t a village nor a town, it’s a valley located between Oix and Sant Pau de Segúries – when you reach it, you’ll be in the heart of the Pyrenees, in a place where phone and Wi-Fi signal don’t reach, and at night the silence is total and the stars shine bright at night. 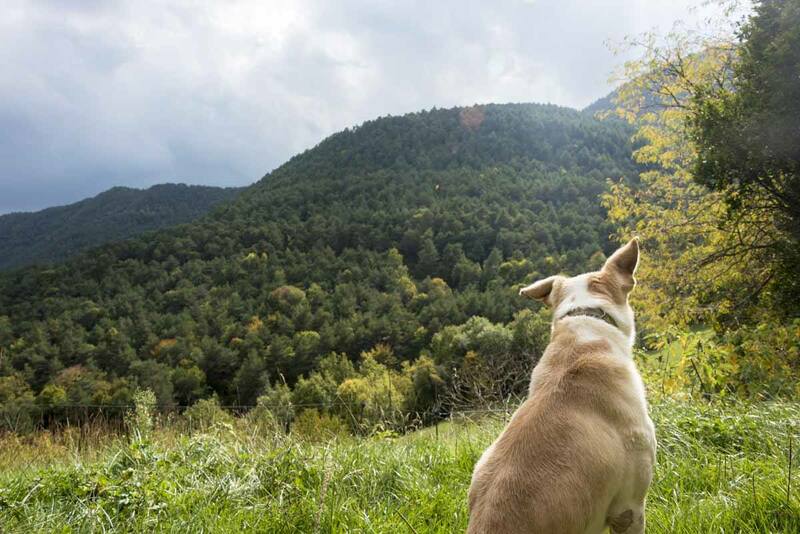 In theory, you could walk all the way from Oix to Sant Pau de Segúries, but we recommend stopping at Refugi el Bagatell to spend a night with Teresa, Josep Maria and their lovely animals – dog Nanu, mama donkey, papa donkey and baby burrita Maca. Yet please remember that a refugio is not a hotel – sleeping quarters and facilities are shared, and you shouldn’t expect 24/7 room service. Staying at Bagatell you’ll experience life in the mountains, and loads of walking trails will be right on your doorstep. Teresa and Josep Maria are wonderful hosts – staying with them was a highlight of our experience. At first glance, Sant Pau de Segúries looked fairly uninteresting. It didn’t have the pretty medieval historic centre, or any immediate points of interest, besides a Romanesque church located just outside town, with its doors firmly shut. The town is in a lovely location, in a surrounded by fields, mountains and a scenery that looks almost Alpine – there are many hiking opportunities, first and foremost the Via Romana de Capsacosta, a Roman path where some of the ancient stonework is still visible, connecting Sant Pau to Sant Marti del Clot, about 10 km away. We originally intended to hike the whole of the Via Romana before continuing to the next stage of the GR1, but it had rained a lot the previous day so we had to change plans. Next time! If you’re following the GR1, you’ll enter Sant Joan from the north, passing the restaurant and albergue located in the former train station. Head downhill and very soon you’ll see yet another amazing slender medieval bridge surrounded by terraced vegetable gardens – cross it and you’ll reach the historic centre. 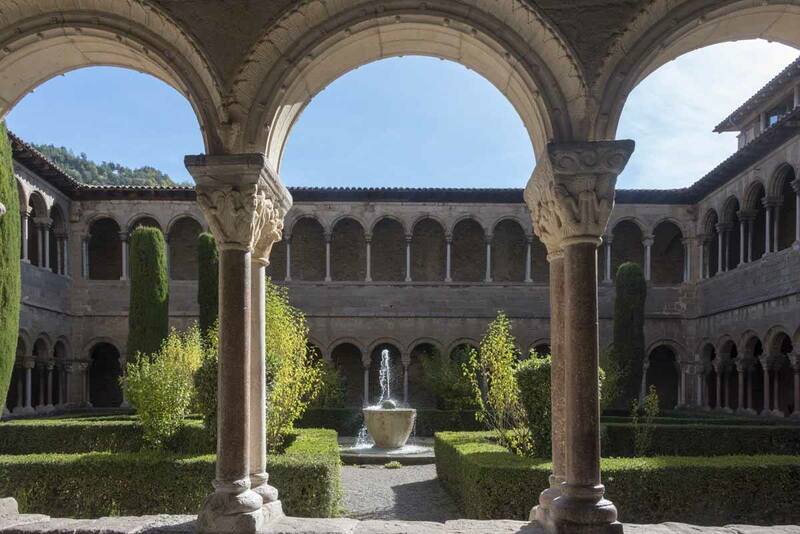 The prime attraction in Sant Joan de les Abadesses is the Monastery – it was one of the first nunneries in Catalunya, founded in the 9th century BC. The ‘abadesses’ in the town’s name derives from the abbesses that took turn ruling the monastery, after which the town became known. The monastery’s Romanesque church has a single nave and it’s quite dark inside, adding to the mystical feel of the place. 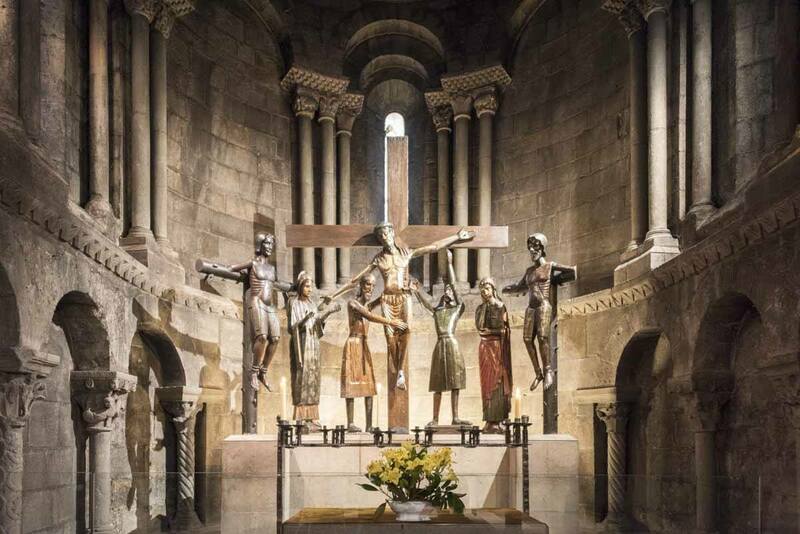 We were given a leaflet from the ticket office that guided us through the highlights – first and foremost the Holy Mystery, a 7-statue sculptural group located on one of the altars, incredibly modern-looking in its shapes and expressions but dating back to the 12th century. Next door from the monastery, there’s a two storey Gothic cloister. It is also possible to visit the adjacent museum, containing several religious art exhibits. Ripoll is where our stretch of the GR1 ended, and it’s the first place after Banyoles that ‘feels’ like a medium-sized town, after having walked through several villages and small towns. One of the first things to see in Ripoll that you’ll notice is a red bridge – keep following the river and soon enough you’ll see a modern-looking white bridge, designed in 1989 by superstar architect Santiago Calatrava. The historic centre of Ripoll is just north of the confluence between the Ter and Freser rivers. 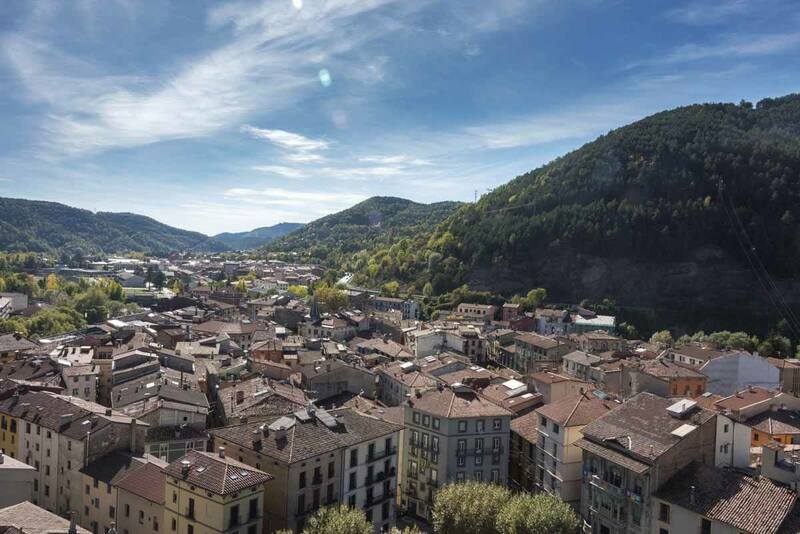 There are some beautiful plazas with lots of bars and outdoor seating – like Plaza Grande, dominated by the Monasterio de Santa Maria, and Plaza de Sant Eudald, dedicated to the patron saint of Ripoll, with some beautiful painted buildings. 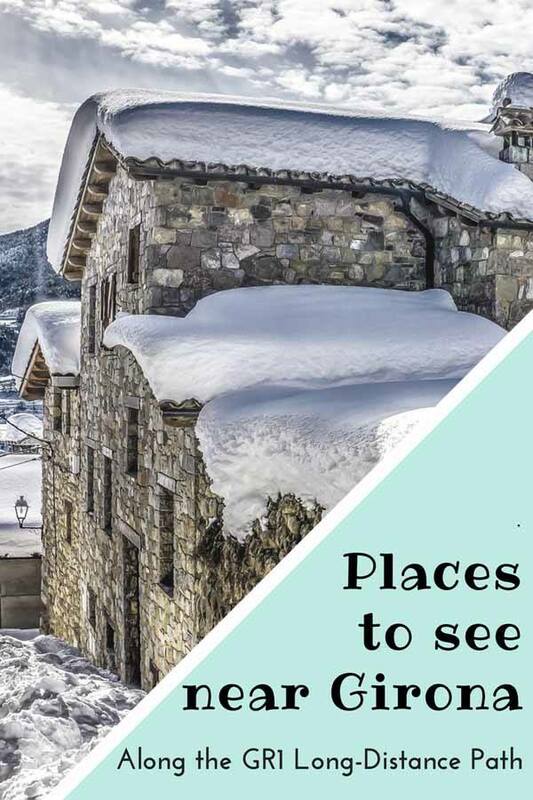 There are two not-to-be-missed things to do in Ripoll – visiting the monastery, famous for its intricate carved doorway, and touring the ethnographic museum, provided interesting highlights on the rural and industrial past of this Pyrenees region. 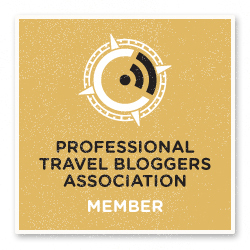 We would like to thank the Patronat de Turisme Costa Brava Girona for making all of this possible. Moltes gracies!